Hope everyone had a happy and safe New Years! Today we are talking with James Moore, Rebecca Roanhorse & Rajnar Varja! 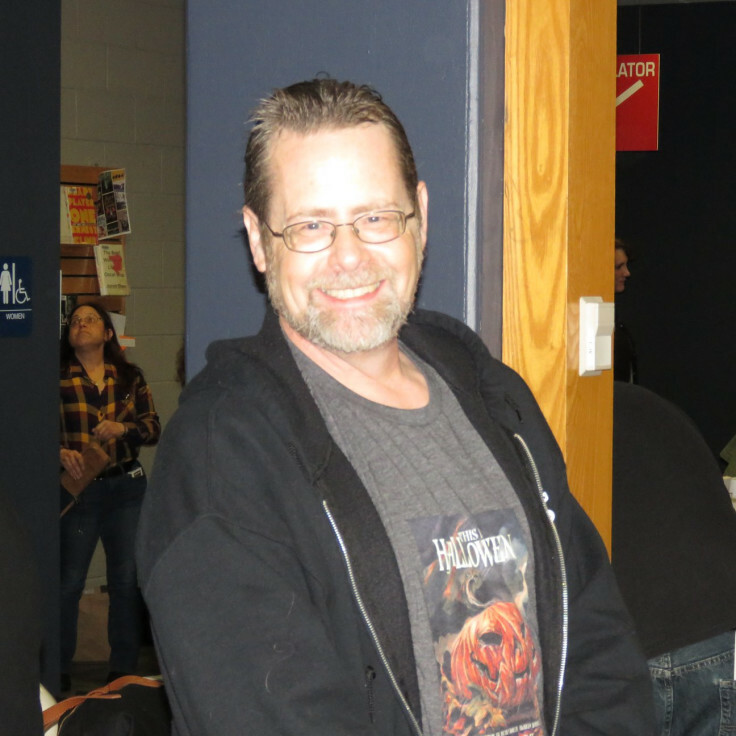 Learn some more reasons why our participants love Boskone, see a couple more great conventions photos and the memories that go with it, and find out who loved DUNE as a child! JAMES A. MOORE is the best selling and award winning author of over forty novels, thrillers, dark fantasy and horror alike, including the critically acclaimed Fireworks, Under The Overtree, Blood Red, the Serenity Falls trilogy (featuring his recurring anti-hero, Jonathan Crowley) and his most recent novels, The Tides of War series (The Last Sacrifice, Fallen Gods and the forthcoming Gate of the Dead) and Avengers: Infinity. His most recent novels include Predator: Hunters and Hunted and the forthcoming Gates of the Dead. Along with Christopher Golden and Jonathan Maberry he is co-host of the Three Guys With Beards podcast. More information about the author can be found at his website: jamesamoorebooks.com. Find James on Facebook, Twitter, or his website! Boskone is exactly my favorite type of convention. There’s a wonderful array of panels to consider, a vast collection of authors to see and a level of intimacy that is often lacking in conventions more directly tied into other forms of media. Lloyd Alexander’s The Chronicles of Prydain was truly the first epic fantasy that ever full engaged my imagination. I love the constant sense of wonder that moved through the resounding dread on those pages. Watching Taran grow from a swineherd’s apprentice into a man of honor was as close to perfect as any book has ever been for me. The characters were wonderfully, humanly flawed. 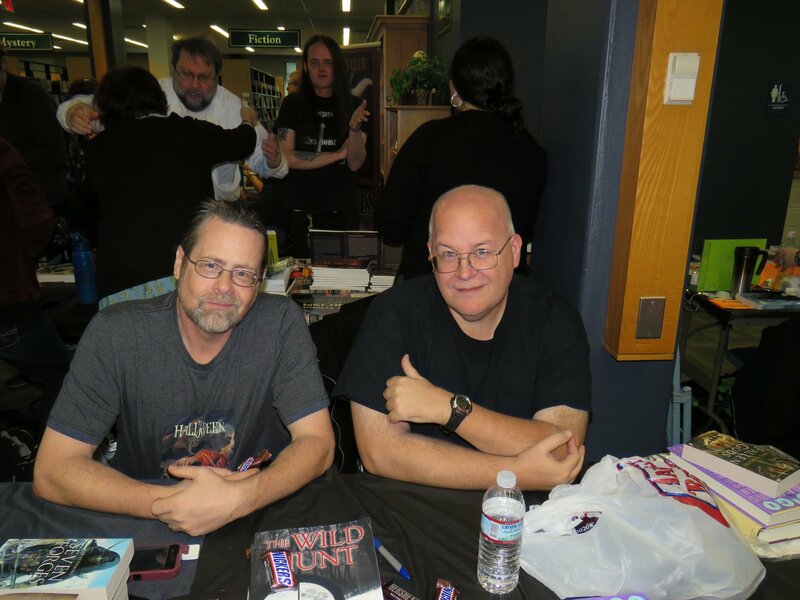 The picture is from 2018’s Merrimack Valley Halloween Book Festival, hosted by Christopher Golden. The picture is of me and my sometimes co-author Charles R. Rutledge, who made it up from Georgia for the event. the festival was amazing and seeing my brother from another mother is always a highlight for me. I am currently writing the third and final book in my BLOOD RED series. This one is called BLOOD TIES and it resolves several major threads left unanswered in the previous books in the series. I love a good vampire tale, I love a good vampire (and by good I mean monstrous.). The series has been an absolute blast for me, doubly so because right before being asked to write the first novel I had sworn off ever writing another piece about vampires. Yeah, that trick never works. 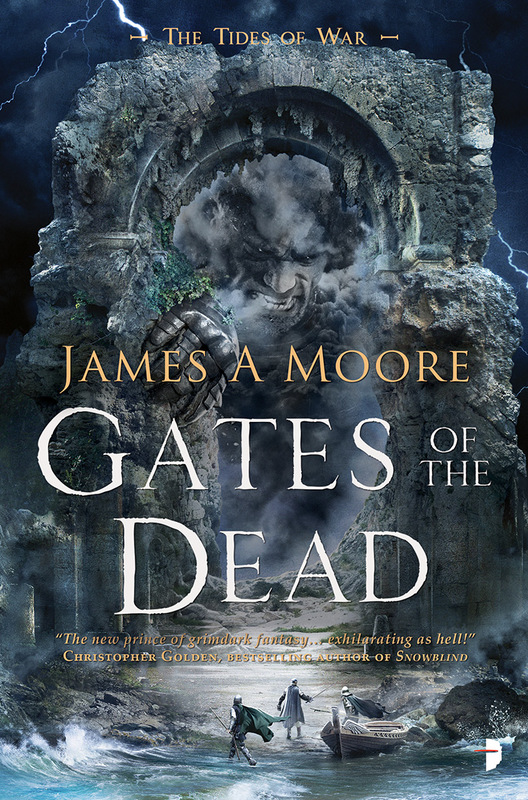 January first also sees the release of the final book in the TIDES OF WAR series, THE GATES OF THE DEAD a Grimdark, epic fantasy that deals with angered gods and the end of a world. The cover art is by the amazing Alejandro Colucci. I have to say Elric of Melnibone is my favorite. He is the perfect example of an anti-hero for me. Unrelentingly grim and determined to make the very best he can of a miserable situation, he does all he can to survive in a world that has fallen into ruin and does his very best to keep those he loves from harm. Michael Moorcock outdid himself with that particular incarnation of the Eternal Champion, though I would recommend every incarnation for a wonderful adventure..
Rebecca Roanhorse is a Nebula and Hugo Award-winning speculative fiction writer and the recipient of the 2018 Campbell Award for Best New Writer. 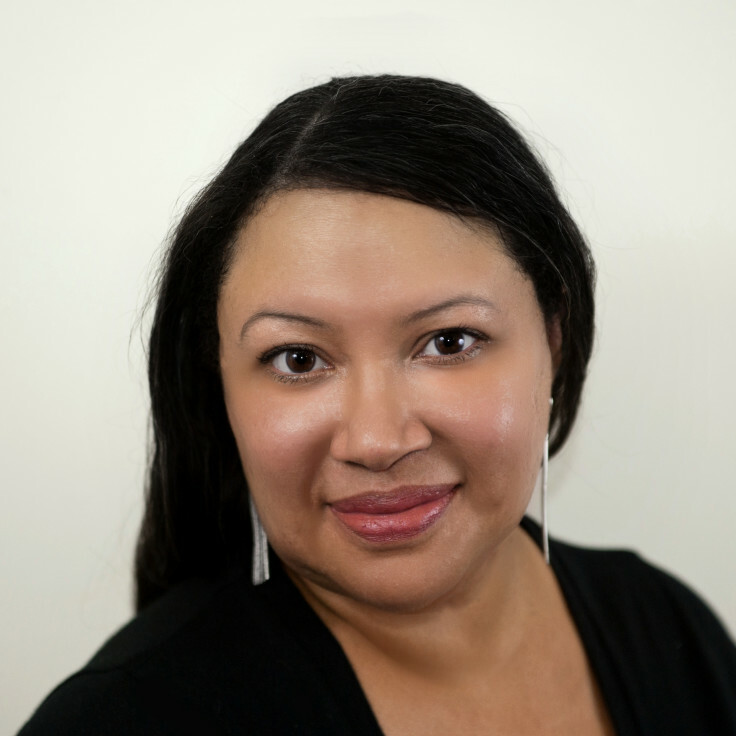 Her work has also been a finalist for the Sturgeon, Locus and World Fantasy awards. Her novel Trail of Lightning was selected as an Amazon, B&N and NPR Best Books of 2018. Her short fiction can be found in Apex Magazine, New Suns, and various other anthologies. Her non-fiction can be found in Uncanny Magazine, Strange Horizons, and How I Resist: Activism and Hope for a New Generation (Macmillan). She lives in Northern New Mexico with her husband, daughter, and pug. Find more at https://rebeccaroanhorse.com/ and on Twitter at @RoanhorseBex. Find Rebecca on Facebook, Twitter, and her website! I haven’t been to New England since my last college reunion in CT, and I don’t think I’ve been to Boston since college itself. I’m excited to back to a part of the country where I spent some great years and see how it’s changed and how it’s stayed the same. I would love to relive the first time I ever watched David Lynch’s DUNE. The book itself was formative and I remember dragging my best friend to the arthouse movie theater to make her watch the film with me. We were the only kids there, and maybe some of the only patrons, period. I was transfixed. I’d never seen anything like it. I know it’s got issues but it blew me away. I’d love to do that, again. This photo was taken at Indigenous Comic Con 2018 and it was the first time anyone had even cosplayed characters from my debut novel, TRAIL OF LIGHTNING. I absolutely love it and it not only thrilled me to be able to give Indigenous fans someone who looked like them to cosplay, but they nailed it! My next book is STORM OF LOCUSTS, coming April 23, 2019 from Saga Press. I’m Rajnar Vajra, born in New York in 1947, transplanted to San Diego where I lived until studying at the University of California in Berkeley, and now surviving in New England. I maintain an absurdly wide range of interests stretching from astrophysics to Zen. I’ve been a Hugo finalist and my work has appeared in several anthologies including Visions of Tomorrow and Into The New Millennium, also magazines such as Absolute Magnitude and especially Analog where I’ve been frequently featured, including a full novel serialization. This last year and a half, I’ve been concentrating on novels, but one fairly recent story “Her Scales Shine Like Music” is still available at Tor.com. I’ve got four novels currently awaiting judgement with various publishers. Since I live in MA, Boskone is one of the most practical such events for me to attend. It’s also one of my best opportunities to meet up with friends in the SF/Fantasy community. In addition, the panels I’ve been on so far have run smoothly with audiences that were both respectful, intelligent, and mature. I don’t see how it’s possible to relive any first experience, but I greatly appreciate whenever a book or film evokes the delightful sense of wonder that I experienced as a child when I read THE THIRTEENTH IS MAGIC by Joan Howard, and later with Clifford D. Simak’s TIME IS THE SIMPLEST THING. David Goldberg from my unpublished novel OPENING WONDERS. I’ve given him something of my own sense of humor, sensitivity, and ability to appreciate other people. He’s also, although not consciously aware of it, involved in discovering who and what he really is. I’ve spent the last year and half rewriting three of my novels, with two now completed. Right now, after getting some positive feedback and useful suggestions from editors, I’m rewriting UMBRELLA JONES, featuring a 12-year old girl who gets bizarre magical powers, never the same ones, only when it rains. Naturally, since we wouldn’t want to keep things simple, UMBRELLA JONES is also a mystery novel, and set in the near future.